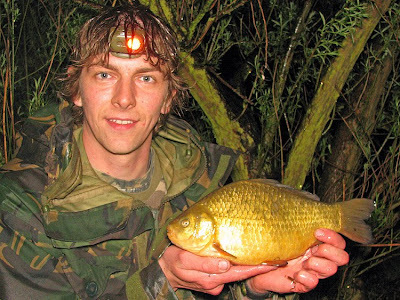 Well, I didn't get fishing too much over the closed season, but two of the more notable sessions were fishing for Crucian carp at Carr Vale Pond near Bolsover and Tench fishing with my friend and erstwhile www.anglerstoday.co.uk editor, Kevin Miles. I tried fishing light for the crucians, as is normally required to hook one, but for some reason couldn't connect with the bites. 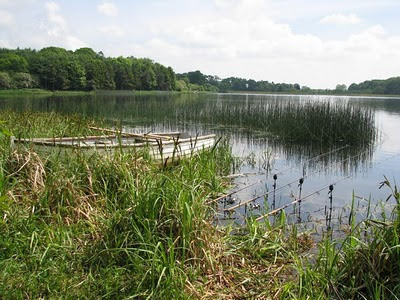 When I eventually swapped to fishing the lift method (which is one of my favourites for close-range fishing) and swimfeeder, I did start hooking fish. The first came to the lift method on a single grain of corn and it went 1lb 4oz. Later on, my "sleeper" feeder rod, which I'd loaded with a big hook, a whole lobworm and a grain of corn in the hope of a big tench, was nearly dragged in by an absolute screaming run, which I assumed must be a tench or carp. After a good scrap for 30 seconds or so, the fish seemed to give up, almost like a bream would. I brought the fish to the net wondering what on earth I'd hooked. 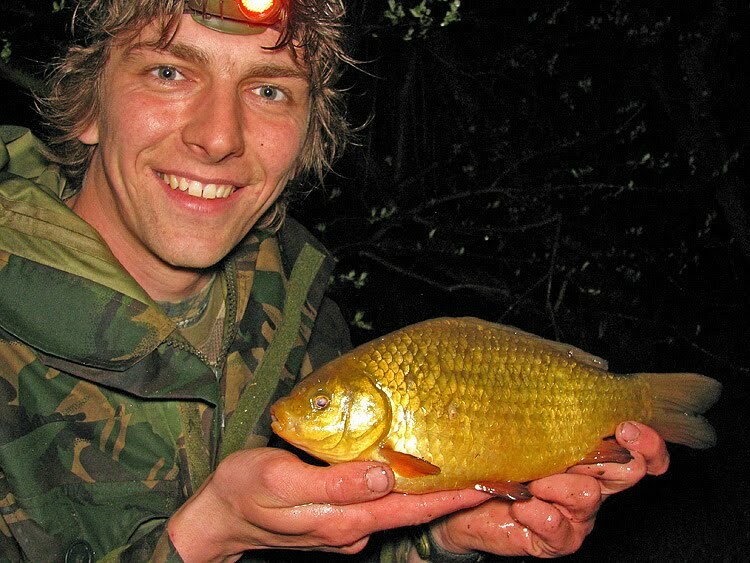 it turned out to be another, bigger crucian at a PB weight of 1lb 14oz. It's no Marsh Farm fish, but heck it's not a bad 'un for North Derbyshire! My two crucians which preferred crude over refined! On June 2nd I was joined by Kev Miles on a private Midlands reservoir which I'd been lucky enough to secure access to for a day. It holds some monster tench and with my PB for this species being pretty meagre, I went all-out to try for a big one. A 5lb+ fish would have been brilliant, but the potential was there for fish up to 9lb! What a view! How can an angler fail to be impressed by this! What a water it was; reed and tree-fringed, weedy, clear and holding big tench - what more could we have asked for?! It was a baking hot day with clear skies so we spent most of the day sheltering from the sun beneath a brolly. 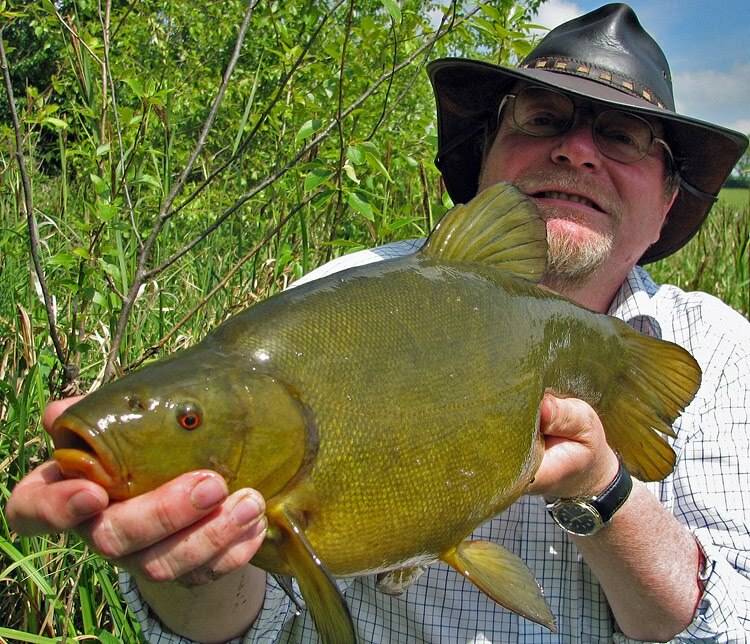 With the weather so bright and the water so clear, I'm guessing that the tench were similarly seeking refuge deep within the weed cover. We only had one run during the day, which came to Kev who was using a method feeder over a big bed of groundbait with imitation sweetcorn as hookbait. The fish managed to embed itself in the weed a couple of times, but without too many nerves wrenched, the fish was landed and weighed 6lb 12oz. I'd never seen a tench bigger than 5lb before, so I was thrilled to see such a beautiful specimen, which seemed to be spawned out, so may well have been even heavier just a few days before.